See product QuickSpecs for exact compatibility. 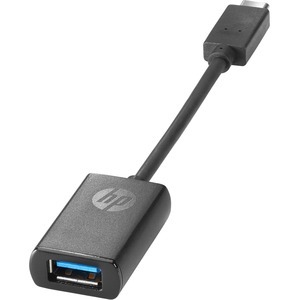 Convert your notebook or tablet's USB-C™ port to USB 3.0 with the HP USB-C™ to USB 3.0 Adapter. Use the adapter to connect to your frequently-used USB 3.0 devices through your notebook or tablet's USB-C™ port. Rest easy with a one-year parts replacement limited warranty.